In his most recent podcast with Joe Rogan, Jordan Peterson mentioned that he has been eating nothing but meat for the past two months and has received extraordinary results from this new diet. Recent, his daughter Mikhaila Peterson appeared on Joe Rogan’s podcast and mentioned the incredible health benefits she has received from eight months of eating an all beef carnivore diet. As someone who spent years researching and experimenting with diets, his claims of weight loss, strength gain, and disease remedy seemed somewhat hyperbolic. However, Dr. Peterson’s advice has helped me improve my life in many ways, and I thought this could be one more. So, I decided to give it a shot. 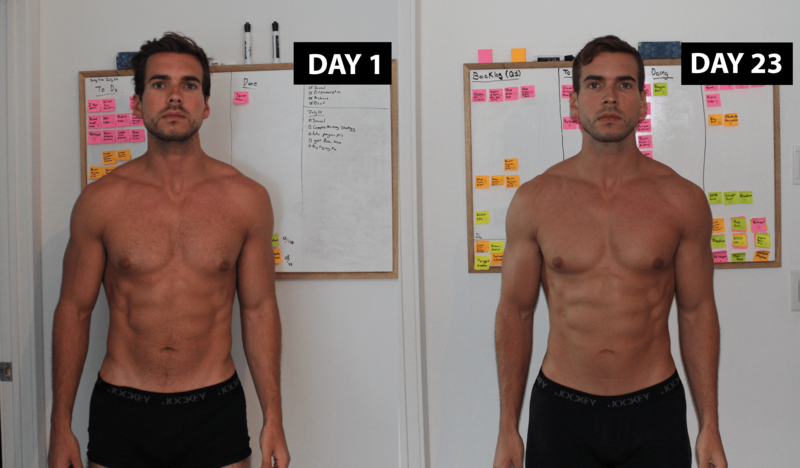 I tested the diet for three weeks, taking various tests and measurements before getting started an after completion. Now I can compare his claims with my results. Dr. Peterson claims that he lost seven pounds per month for seven months. He was still eating greens at this time, but my results from a carnivore diet were even more impressive. 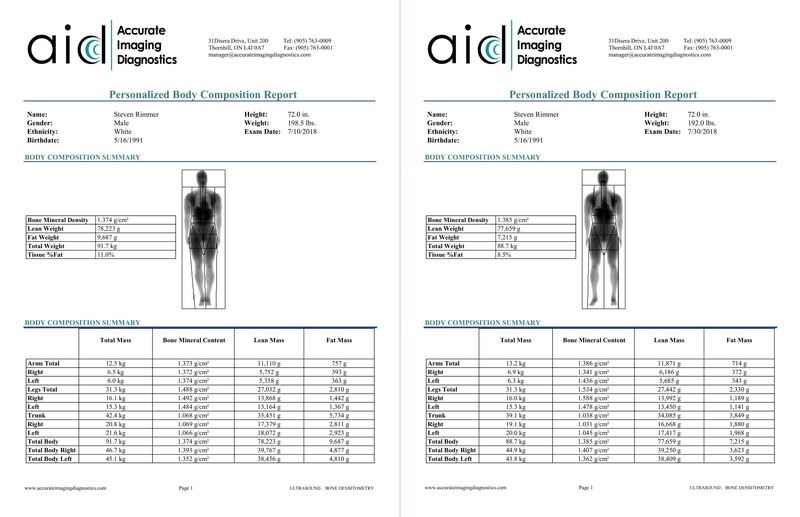 I got a DEXA scan to measure my precise weight and body composition. I began the diet at 202 pounds and 11% body fat. Within three days I lost three pounds. By the end of three weeks, I lost 6.5 pounds and dropped 2.5% body fat. I did not know that I was capable of losing that much fat from an already quite lean starting body composition. Dr. Peterson claims that his appetite was dramatically reduced which would undoubtedly lead to weight loss. For me, this was not the case. I tracked my daily food consumption at various points throughout the diet, not to limit my calories but out of curiosity about what I was eating. Typically, I eat around 3,500 calories to maintain my weight. 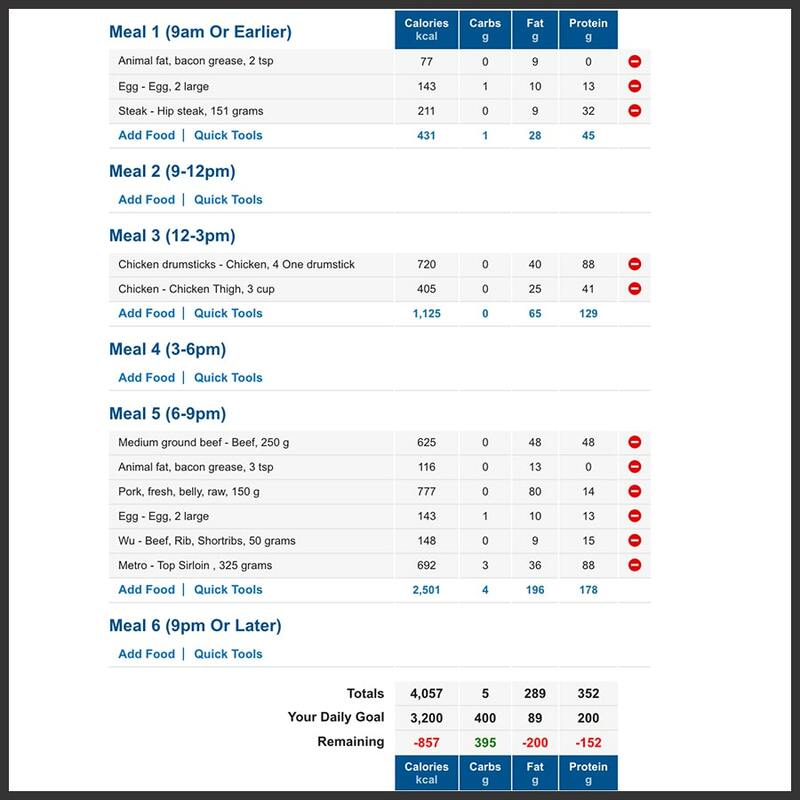 On a carnivore diet, I averaged over 4,000 calories per day and lost weight more rapidly than I ever have in the past. Some of my dinners alone were over 2,500 calories. Even more strange, I could eat a meal of this caloric density and feel fully capable of immediately getting up and getting to work. Normally if I eat 1,000 calories in one sitting I am in a food coma for the next hour. With that kind of weight loss, I expected to lose some strength, but Jordan claimed to have gotten stronger while eating a carnivore diet. I measured my strength on various lifts at the gym and calculated my estimate one rep max from all of these lifts. At the end of the three weeks, my combined one rep max increased by five pounds. While this is not significant, it is enough to say that I maintained my strength while dropping weight to reach the leanest body composition I have ever had in my life. According to Jordan, he sleeps six hours a night, wakes up, and has no problem getting out of bed in the morning. For most of his life, mornings were a nearly insurmountable challenge that required hours to get started. As someone who exercises beyond what is necessary, I often share this morning struggle and find it difficult to function on less than 8 hours per night. I typically sleep around 8.5 hours and wake up in a mad dash to get to my morning meeting. On a carnivore diet, I would naturally wake up after about 6.5 hours. I was never excited to get out of bed so I would lay there for the next half hour. Even with that delay I would wake up, make breakfast, and get to the office an hour before the earliest riser. Dr. Peterson also claimed to have been intellectually at his best. I was not sure how to objectively measure this, and it was only in hindsight that I discovered a somewhat objective measurement of my intellectual ability. 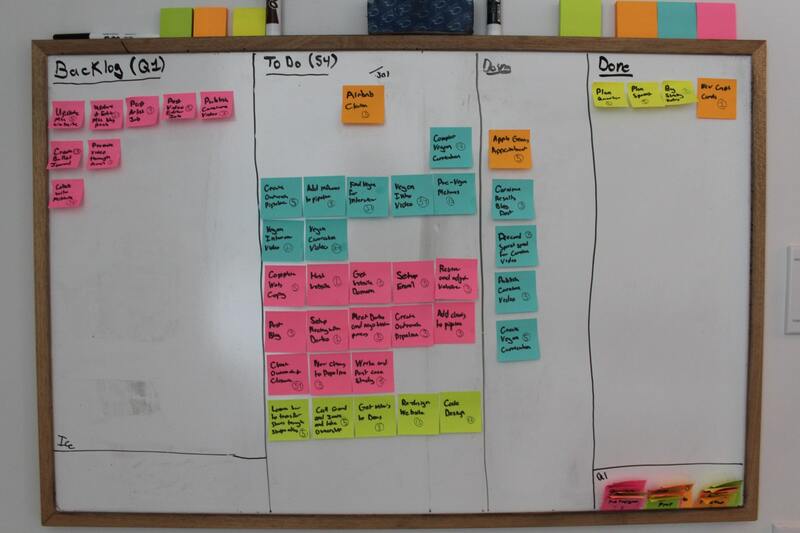 I run my life in three-week ‘sprints,’ a system I adapted from the SCRUM management framework and applied to my life. For simplicity sake, each sprint lasts three weeks and has a series of tasks to complete by the end of the sprint. Each of these tasks has a score based on the complexity, value, and time required for the task. At the end of the sprint, I count the score. 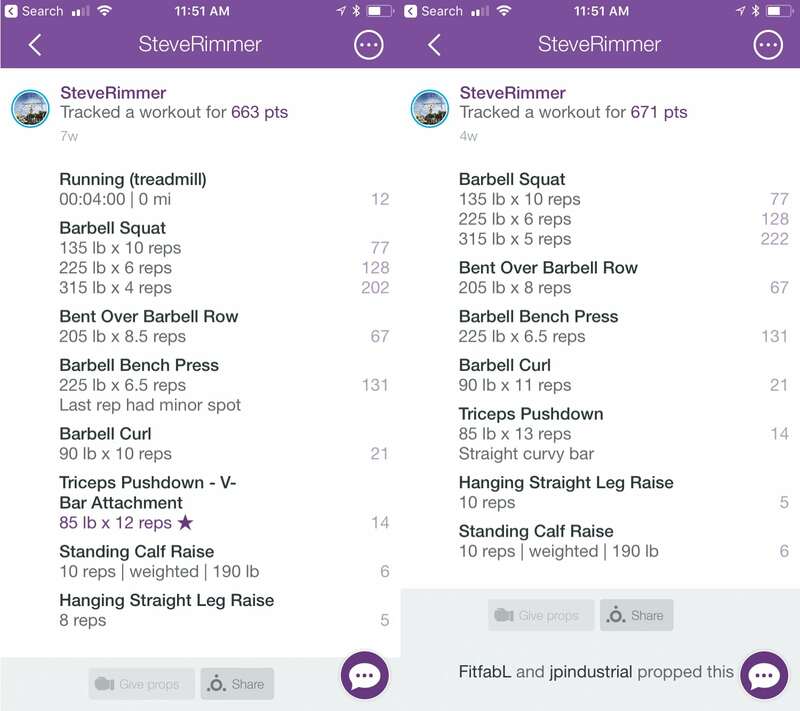 When I reviewed the sprint where I started eating a carnivore diet I realized that I completed over twice as many points as I did in the previous sprint. These points can be relatively arbitrary as they are assigned based on my own perception, but I do my best to rank them as objectively as possible. Subjectively, I can certainly say that I have never in my life felt the confidence or clarity of mind that I did when eating a carnivore diet. Joe asked Dr. Peterson whether he experienced any negatives while eating a carnivore diet to which Jordan responded that when he ate something he wasn’t supposed to, he could not sleep for 25 straight days. When I finished the diet, I immediately ate (and drank) several things barred from the diet, hopped on a plane to Spain, and slept for half the trip. Whether I did not follow the diet long enough or didn’t have as many initial health issues to cause this problem is up in the air. Another negative that Jordan mentioned was that he was getting cramping in his toes. This is a negative that I definitely have to point out. By the twelfth day of the diet, there were many days where I would wake up, sometimes in the middle of the night, with excruciated leg cramps. I had to do everything in my power not to scream and wake up my roommate. 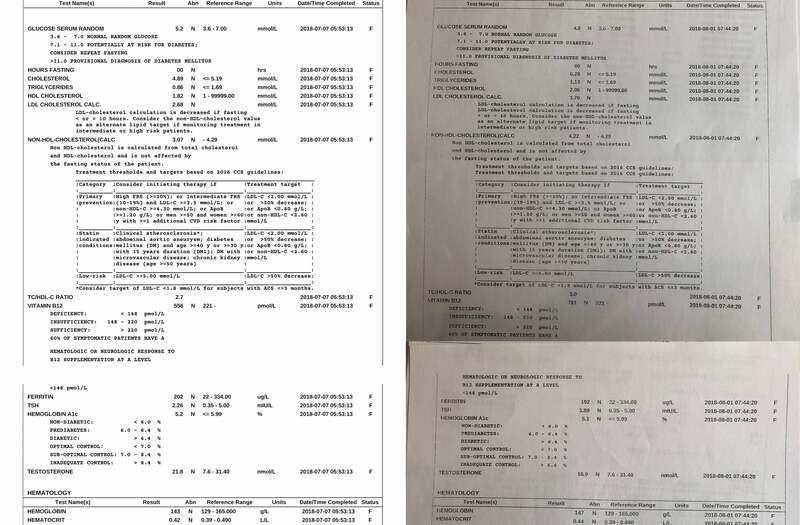 Joe mentioned to Jordan that he had never heard any negatives from this diet but that he has also never seen any blood tests from someone following a carnivore diet. Before getting started, my HDL cholesterol (good) was 1.82 mmol/L, and my LDL cholesterol (bad) was 2.68 mmol/L. By the end of three weeks, my HDL had risen to 2.06 mmol/L, but my LDL had skyrocketed to 3.7 mmol/L, a 38% increase in just three weeks. This alone would not have been too surprising but what shocked me most was that my testosterone decreased by over 22%. I started at 21.8 nmol/L and fell to 16.9 nmol/L by the end of the diet. Throughout the diet, I was confident that most of the benefits I experienced came from a higher level of testosterone, but I was wrong. The final negatives have nothing to do with the results of the diet, but they are definitely worth mentioning. The first is that eating nothing but meat, especially limiting yourself to beef, is extremely expensive. 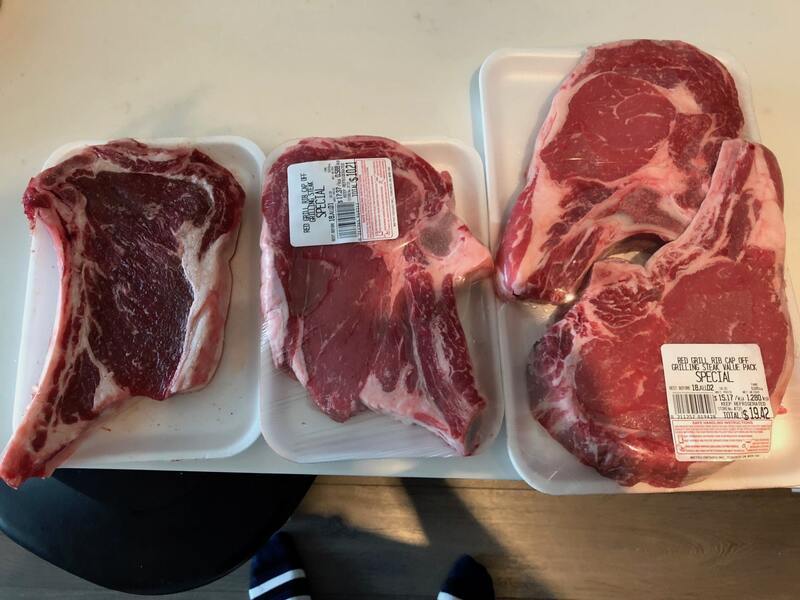 Jordan ate nothing but beef and salt when I was restricting myself to these levels I would spend $40/day on food, and that was only because I found a tremendous sale on steak and packed my fridge. To reduce your costs you could limit yourself to nothing but ground beef but that makes the second negative, the discipline that it takes to maintain this diet, even more difficult. It is not easy to eat nothing but meat all day, every day. If I didn’t pay for the tests beforehand I may have given up on day one. The cravings for other food are definitely reduced overtime but that doesn’t change the challenge of going out for lunch with friends or a first date, especially if that date is Vegan, which brings me to the final negative. All that being said, would I recommend a carnivore diet? That is tough to say. On one hand, I felt like I had superpowers with leg cramps as my kryptonite. I got to the best body composition I have ever had in my life but had my lowest testosterone probably since puberty and my highest cholesterol probably since birth. My brain loved me but my taste buds and wallet disagreed. So, to answer the question, yes, I would recommend it, specifically if you have a health condition that you cannot get rid of otherwise and if you know that you have the discipline to maintain a regimen like this. I myself would try it again but I would make some alterations that I suggest you make as well. I would cut out coffee and tea from day one to fully experience the cognitive benefits of the diet. I would test my estrogen alongside my testosterone to see how it is impacted. I would drink more water and stretch more often to test how that affects my leg cramps. Finally, I would stick with strictly beef and salt for a longer period of time and see how that changes everything else that I measured. I intend to try this again in the future but for now, I want to give Vegans a fair shot. One of my biggest concerns with starting a Vegan diet was that it would lower my testosterone and increase estrogen but since a carnivore diet already had these effects I am not nearly as worried. Starting next week I will run a three week trial of a vegan diet; absolutely no meat or animal products. If you are interested then follow along and I will post updates as I go. Thanks for following and thank God I am still alive.